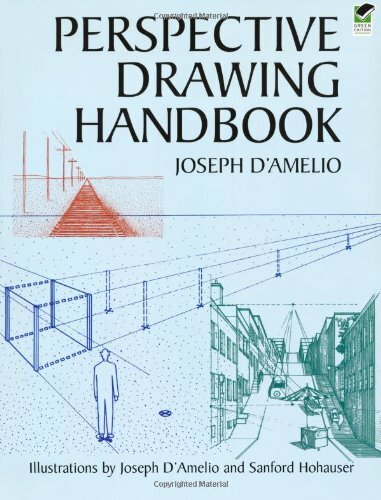 This handy guide to perspective drawing provides important information on such subjects as diminution, foreshortening, convergence, shade and shadow and other visual principles of perspective drawing. What Locates the Vanishing Line for All Horizontal Lines? What Locates the Vanishing Point of a Particular Set of Parallel Lines? What Happens to Eye Level (Horizon Line) When You Look Straight Out, Down or Up? What Happens to Eye Level (Horizon Line) When You Look Straight Out, Down or Up (cont.)? "One-Point" and "Two-Point" Perspective--When and Why?